OSWEGO, NY – The H. Lee White Museum and Maritime Center, located on the West First Street Pier in Oswego’s Historic Maritime District, has extended hours to 10 a.m. – 5 p.m., Monday – Sunday throughout July and August. 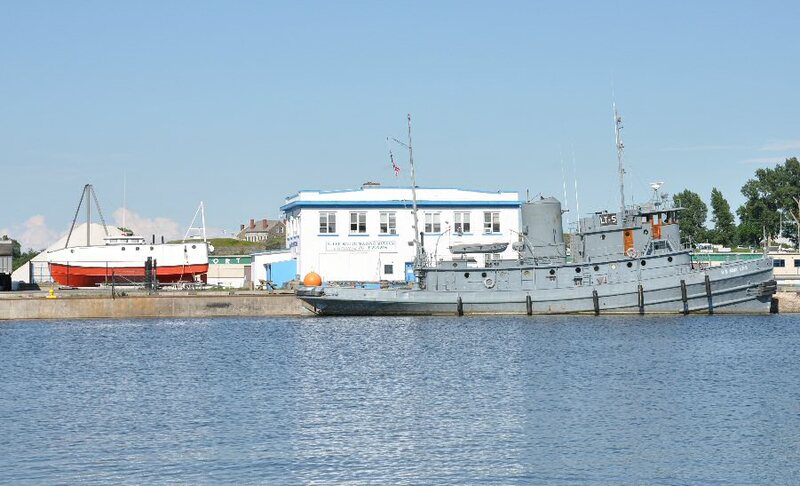 Pictured at the H. Lee White Museum and Maritime Center, along side the main exhibit building and the Eleanor D, is the National Historic Landmark World War II Tug, LT-5, celebrating 70 years. Photo by Maritime Center volunteer, Robert Finn. 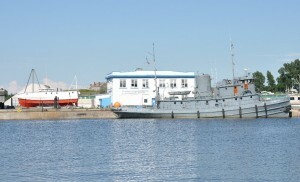 The Museum Complex consists of a main building of exhibits highlighting more than 400 years of maritime history, the National Historic Landmark World War II Tug the LT-5, Derrick Boat 8 from the New York State Canal System, locally built schooner Ontario, and Eleanor D, the last US commercial fishing vessel to work Lake Ontario. Admission is $7/adult, $30/teen, 12 and under are free. Also check hleewhitemarinemuseum.com, www.facebook.com/hlwmm and www.facebook.com/oswegolh for programs and other information.